The petitions also came with a 4 page letter decrying the fact that pro-life legislation is making it harder to kill babies in America. They refer to pro-life organizations as anti-choice zealots and express their concern over North Dakota’s “personhood” measure that will be on the 2014 ballot. The abortion industry is terrified of “personhood” legislation. They know that once an unborn baby is deemed to be a person, abortion is off the table. In the 4 pages of this letter, NARAL mentioned “a woman’s right to choose” every couple lines. Never once did they mention a baby’s right to live. NARAL and their President, Ilyse Hogue are bottom-feeding scum suckers. I don’t know how NARAL could possibly think that I’m a supporter, but it’s nice to know how they operate. Last October I wrote the following letter to NARAL’s Ilyse Hogue as they were endorsing pro-abortion Senate candidate Cory Booker. I wanted to know what she had against children. I’m still waiting for her answer. I’m just checking in to let you know that while I wait for you to respond to my letters I am still dumbfounded that an organization such as yours, who openly advocates for the right to have unborn children killed on demand, is allowed to operate in America. I always thought the country I grew up in, and voluntarily placed myself in harm’s way for while serving in its military, placed the right to life for everyone including its unborn children, as its most important freedom. I never in my wildest dreams would have thought that the country I love would elect an ‘American Idol’ President with absolutely no executive experience or qualifications for the job. And I never would have dreamed that an American President could be as radically pro-abortion as the floppy-eared dunce currently occupying the White House. At my age I’ve seen a lot and I’ve also decided that it’s time to take a stand for life. That means NARAL and Planned Parenthood need to close their doors today. You may think I’m being naïve by making such a demand, but I’m not. I know in my heart, without a doubt, that mountains can be moved by sheer intention, as long as the intender is absolutely unwavering in his faith that the end result will come to pass. I can see the end of abortion and I can see the padlocked doors of NARAL and Planned Parenthood. You will see them soon. While we’re waiting for you to close, how about explaining why your organization had to coach Newark, N.J. Mayor Cory Booker so he could give the answers you needed on your endorsement questionnaire. Apparently, for him to get NARAL’s endorsement for his run for the Senate seat in New Jersey, and all the blood money that comes with it, he really has to jump through some hoops. He’s already in favor of partial-birth abortion, virtually no restrictions on abortion for any reason, and against requirements for parental notification for minors seeking abortions. What else do you need from the guy? To be any more in your camp he would have to be performing the abortions himself. Actually, Cory Booker wants so badly to be considered relevant, he would probably take a stab at being an abortionist if he thought it would help him get elected. Ms. Hogue, what do you have against children? Granted, they burp, fart, and occasionally puke, but I’m going to go out on a limb and speculate that you do as well. They also have a tendency to get whiney and poop in their pants; something that I would guess you will be doing when you finally realize that NARAL has worn out its welcome in America. Get a real job and leave our kids alone. And get some help for that farting, burping, and intestinal growling. It’s really unbecoming of an unemployed baby killer. Today the entire country is outraged over racist remarks made by Los Angeles Clippers owner Donald Sterling. Racism is always wrong in whatever form it manifests. Outrage is the default response to remarks such as those made by Mr. Sterling. Unfortunately, this outrage is further fueled by self-serving race baiters like Al Sharpton and Jesse Jackson. And no, I didn’t accidentally omit the title of Reverend from either of these gentlemens’ name. Nothing that either of these men does is by any stretch reverent or to the benefit of their fellow man. The news networks are covering this story non-stop while Sharpton and Jackson jockey for position in front of the cameras. While Mr. Sterling’s comments disturb me, I reserve my outrage for Planned Parenthood and America’s abortion industry. I see racism when more black children die from abortion in New York City every year than are allowed to be born. What I don’t see are Mr. Sharpton or Mr. Jackson speaking out on behalf of these innocent children. The main stream media won’t cover protests over the killing of unborn children, so these clowns don’t show up. They’re in the business of promoting racism, not ending it; even if one of the results is the deaths of thousands of black children every year in our nation’s largest city. If these 2 leaches really wanted to end racism and save children they would be doing good works out of sight of the cameras, just because it is the right thing to do. You won’t hear them speaking out against Planned Parenthood either, even though this organization was founded by an avowed racist whose stated goal was the extermination of the black race. They’re willing to go 24/7 over a sleazy NBA owner; calling for boycotts, suspension of the First Amendment, and even jail time for an idiot who should just be allowed to crawl under the nearest rock and disappear. But when it comes to the killing of unborn children, you won’t hear a word of protest from either of them. Sharpton and Jackson express varying degrees of outrage over whatever happens to be the flavor of the day. Whether you agree with me or not, any time the word racism shows up in a story, whether warranted or not, Sharpton and Jackson can be found racing toward the camera crews, ready to stoke the fires and stir stir things up; their only intent being to promote themselves. If these 2 hucksters want to promote something, how about promoting every unborn child’s right to life, whatever their race? How about standing up against America’s abortion industry and fighting the ultimate battle against racism? Bottom line, Donald Sterling is an idiot and deserves everything that comes to him as a result of his idiocy. Al Sharpton and Jesse Jackson are morons who wouldn’t recognize a worthy cause if it slapped them upside their swollen self-aggrandizing heads. It’s about time for everyone to stop clamoring to be outraged over every insensitive remark, and every politically correct, social-network trending hot topic. Righteous outrage should be reserved for the truly outrageous; like the legal murder of over a million unborn children every year in America. During your tenure as President, more than 20% of America’s coal burning power plants have been forced to close so you and your supporters can perpetuate the myth of global warming. You tell us there is too much carbon in the atmosphere and unless we switch to wind power and drive cars resembling tricked out golf carts the oceans will rise and the world as we know it will end. While you and your cronies at the Environmental Protection Agency have a big problem with our country using one of our most abundant resources to generate electricity, you apparently have no problem allowing our most precious possessions, our unborn children, to be killed and then burning their dead bodies to generate power. That’s what was discovered in Oregon recently; aborted babies being burned with medical waste to generate electricity. The reaction from the White House; total silence. When the world’s greatest terrorist, Osama bin Laden, was killed, his body was respectfully buried at sea. Doesn’t a dead child deserve at least the same respect that was given to the leader of Al-Qaida? Mr. President, we need to get our priorities straight. Your EPA shuts the water off to one of the most fertile areas of farmland in the country to protect the Delta Smelt, a tiny fish that doesn’t even taste good. At the same time, your administration continues to allow, and even encourages, the killing of 3,500 unborn children every day. I don’t have a problem with the Delta Smelt disappearing so the nation’s breadbasket can get the water it needs. I do have a problem with infanticide occurring under cover of the law. We both know that you could put a stop to most of the killing with the stroke of a pen. We both also know that you would never make a move to end abortion, a barbaric practice that you and the left consider a sacred right. Mr. President, if 1 out of 3 unborn children in America were dying from a mysterious illness, the country would mobilize as one to find a cure. 1 out of 3 unborn children is dying in America and the cure is to simply stop killing them. America is supposed to be the land of opportunity. Opportunity means nothing if you aren’t allowed to be born. I’ve been given the opportunity to save our children, and if I’m able to save 1 or all of them I will not rest until my services are no longer needed. Mr. President, by the way, there is more argon in the atmosphere than carbon. Maybe you’re barking up the wrong tree with this carbon thing; just saying. All my letters are published on my pro-life blog at www.prolifrpoppop.com. Write back and I’ll publish it; unedited. 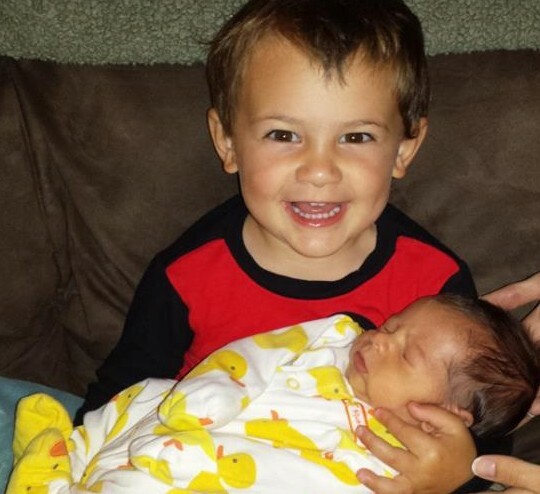 Last August, shortly after the birth of my second grandson, I was feeling especially inhospitable to Planned Parenthood and the heartless killers in America’s abortion industry. I had just seen how hard my preemie grandson had fought to live and had witnessed just how powerful a force life is. The killers in America’s abortion industry work hard every day to stamp out life. They’re fighting a losing battle. The numbers they are able to kill are staggering and the methods they employ to carry out their brutal mission are an affront to civilized society. Life will prevail in the end, but at what cost? How does the death of an innocent child benefit anyone; other than the bean-counters at the abortion clinics? Why do we sentence innocent children to death while we sentence brutal criminals to life? These are some of the questions I struggle with every hour of every day, and that’s why I write to Planned Parenthood’s Cecile Richards and other facilitators of the greatest evil humanity has ever endured. The following letter met its fate at the hands of Planned Parenthood’s shredders last August, just days before my second grandson was strong enough to go home. This is one of those good news/bad news situations. The good news for my family is that my little grandson who was born 5 weeks early just 9 short days ago will be going home this week. The bad news for you; Planned Parenthood missed out on another one. If I have my way, America’s abortion mills will be missing out on all of them soon. I absolutely believe that most American’s are decent, moral people. They’ve been lied to, misinformed, and convinced that abortion is a necessary evil that must be protected under our laws. They’ve been sold a bill of goods by liberal politicians and a compliant press that abortion should be safe, rare, and legal; all this while the brutally efficient killers at Planned Parenthood and America’s abortion industry kill over a million innocent children every year. Ms. Richards, perception is reality. Many Americans still perceive abortion to be a rather innocuous procedure where no one gets hurt and the mother goes home none the worse after having her pregnancy terminated. Having your pregnancy terminated sounds so much better than having your living baby ripped violently from your womb and discarded like yesterday’s trash doesn’t it? While we’re talking about perception, semantics are also used with great success by America’s industry of death. The term, Partial Birth Abortion, doesn’t even come close to describing the horror of the actual procedure. But why would you want to describe the actual procedure where the unborn, fully viable child is turned by the abortionist while still in its mother’s womb so it can be pulled feet first from its mother? The baby is then completely delivered except for the top half of its head. The abortionist then inserts forceps into the base of the child’s skull, severs its spinal cord, and kills it. Sometimes at this point in the procedure a CNS Decompression is performed to make it easier to remove the now dead body of the child from the mother’s birth canal. Ms. Richards, the brutal methodology of a Partial Birth Abortion doesn’t sound quite as touchy-feely as its description, does it? Incidentally, CNS Decompression sounds much better than what it actually involves; that being the suctioning of the dead baby’s brain matter from its skull. But, from your perspective the baby’s already dead so why not collapse its skull so you can remove its body more quickly? Heck, if you hurry you may be able to squeeze a couple more in before your 2 o’clock tee time. Ms. Richards, I’m not a big fan of semantics or calling something what it’s not just so it sounds better; so I’ll get right to my point. You disgust me. Planned Parenthood disgusts me. America’s abortion industry disgusts me. Your doors will close for the last time in my lifetime. Any questions? Simply put, Rahm Emanuel is out of touch with reality. It’s not his fault though, it runs in his family. His brother, Ezekiel, is one of the chief architects of ObamaCare. Rahm Emanuel thinks that taking guns out of the hands of law-abiding citizens will make criminals stop shooting them. This is the same convoluted logic that gave us Planned Parenthood as women’s health care and the Dept. of Energy to make us energy independent. Liberals know that most of their constituents believe what they tell them and won’t bother to check the facts. If they bothered to check the facts on ‘women’s reproductive health care’ they would discover that under this guise over a million unborn children are killed in America every year. If they checked the facts on gun control they would realize that only law-abiding citizens comply with the laws. Rahm Emanuel is high on my list of gasbag losers and I felt compelled to reach out to him on September 22 of last year in the following letter. As a pro-life blogger I write letters to politicians and members of the abortion industry on behalf of the 1.2 million American children who are killed every year before they can even be born. My focus in life is to close the doors of America’s abortion mills for the last time; however, this time I’m not writing specifically about abortion. I’m writing because I’m sick of Liberal knuckleheads like you calling for more gun control laws every time gun violence rears its ugly head. As the Mayor of the murder capital of America, with some of the most stringent gun control laws in the country, do you really think adding more gun control laws in Chicago will stem the tide of gun related violence? Mr. Mayor, I know you’re a flaming leftist with close ties to an abject failure of a President, but you have to know that taking guns out of the hands of law-abiding citizens will only make it easier for criminals, who pay no attention to gun control laws, to kill them. Sir, if your security detail had its weapons taken from them would you feel more secure? Do you think it’s a coincidence that America’s major cities with the most onerous gun control laws have the highest gun violence rates? Mr. Mayor, the same logic that leads your side to pass more gun control laws in the hope that criminals will actually comply with them is the same logic that Planned Parenthood and America’s abortion industry uses when they attempt to disguise the killing of unborn children as women’s reproductive health care. Liberalism always results in the exact opposite of its stated intent; and your actions as the Mayor of Chicago and Chief Lackey of President Obama prove that your grasp of honor, integrity, and common sense are tenuous, at best. One more time, so even you can understand it, restrictive gun control laws are only followed by law-abiding citizens. Criminals, by their very nature, do not comply with the law. Chicago’s gang-bangers are not lining up to register their weapons, and before they go on a shooting spree they don’t count the rounds in their magazines to make sure they haven’t exceeded the number allowed under your laws. Mr. Mayor, it’s no coincidence that states with concealed-carry and open-carry laws have the lowest incident rates of gun related violence. It only makes sense that if a gun toting thug is slinking up behind grandma to rob her he’s going to think twice before he does so in a concealed carry state; grandma might be packing. Sir, if you want to protect the children in your city, close your Planned Parenthood clinics and save thousands of innocent children from a violent death every year. All my letters are published on my pro-life blog at www.prolifepoppop.com. Your reply, while not expected, will be published too, unedited.